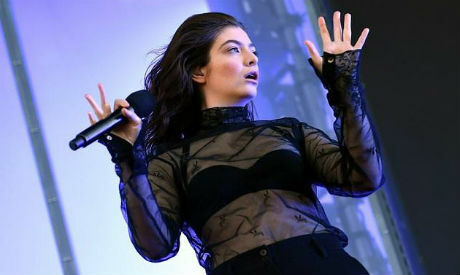 New Zealand singer Lorde has cancelled a planned show in Israel after facing pressure from supporters of a boycott of the Israel over its occupation of Palestinian territory. The 21-year-old, who enjoyed phenomenal success while still a teenager, announced last week a Tel Aviv performance in June as part of a tour. After criticism from international and New Zealand activists, Lorde announced on Sunday she was cancelling the performance in Israel. "I've received an overwhelming number of messages & letters and have had a lot of discussions with people holding many views, and I think the right decision at this time is to cancel the show," Lorde wrote in a statement distributed by Naranjah, the Israeli promoters of her Tel Aviv show. "I'm not too proud to admit I didn't make the right call on this one," she said of the initial decision to perform in Israel. "I'm truly sorry to reverse my commitment to come play for you. I hope one day we can all dance." In a statement to AFP, Naranjah said: "We forgive Lorde and wish her a successful tour in Russia and the US." The movement behind the pressure on Lorde is known as BDS -- Boycott, Divestment and Sanctions -- and says it is inspired by the campaign that targeted South Africa's apartheid regime and is seeking an end to Israel's occupation of Gaza, East Jerusalem and the West Bank. In July, BDS activists failed to get Radiohead to call off its show in Tel Aviv despite heavy pressure from artists such as Pink Floyd's Roger Waters and director Ken Loach. Israel sees BDS as a strategic threat and accuses it of anti-Semitism -- a claim activists, many of them Jewish, firmly deny, calling it an attempt to discredit them. A few politically active musicians have called off shows in Israel over the past years, including Lauryn Hill and Elvis Costello.